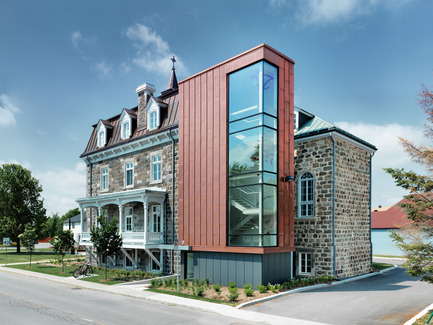 Saint Roch de l’Achigan is a small farming community eighty kilometres north of Montreal. 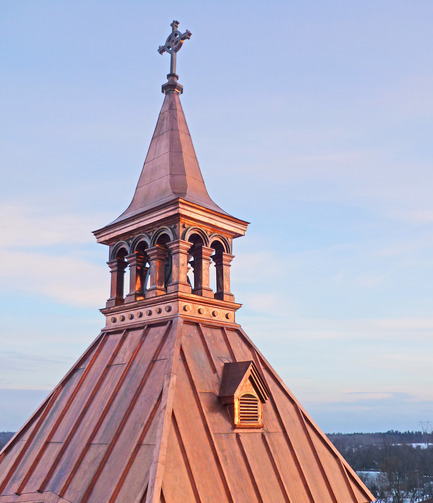 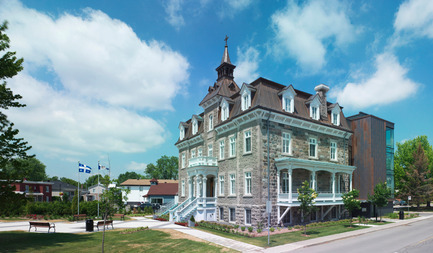 The community’s historic convent, built in 1881, is a landmark visible at great distances across the surrounding countryside. 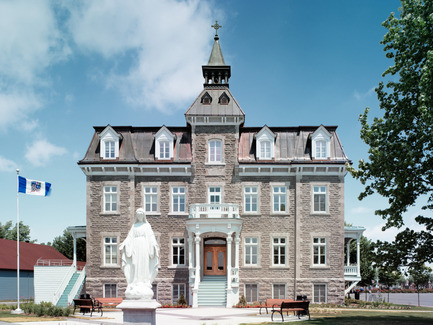 Located in the village center, the old convent is a building of important heritage value, a symbol of community and a source of pride for Saint Roch residents. 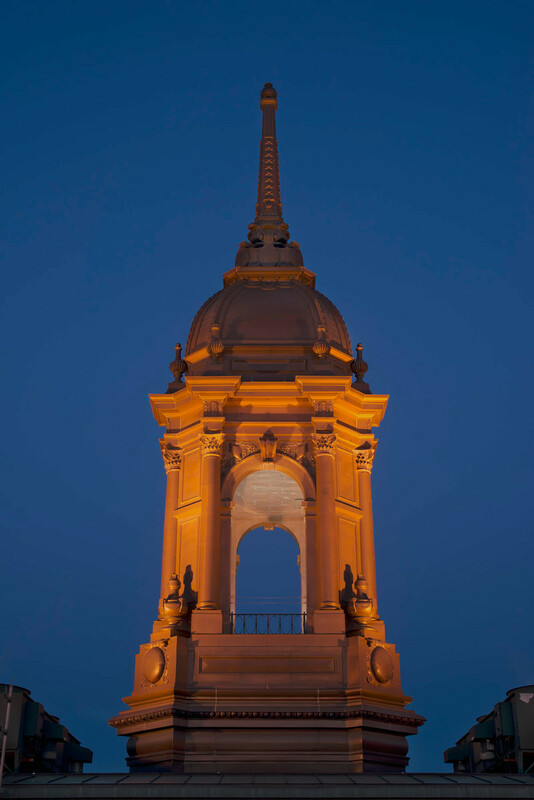 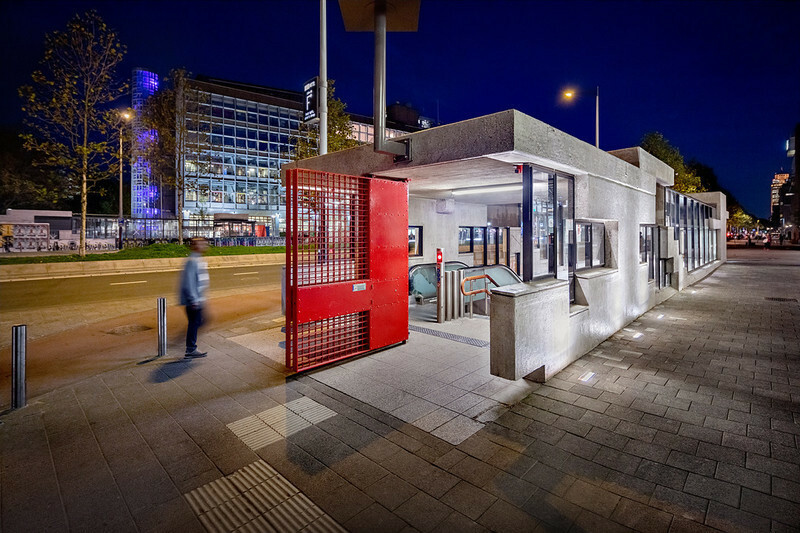 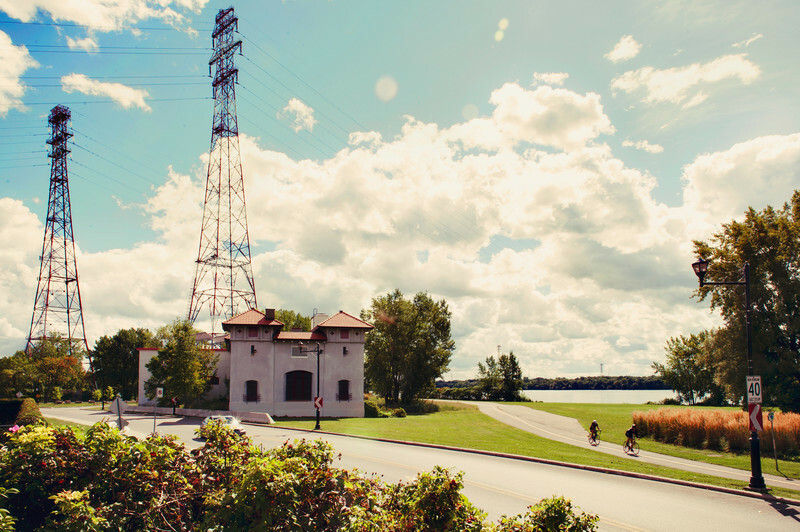 The recycling of this historic structure as the city hall and municipal offices re-establishes its presence at the center of community life. 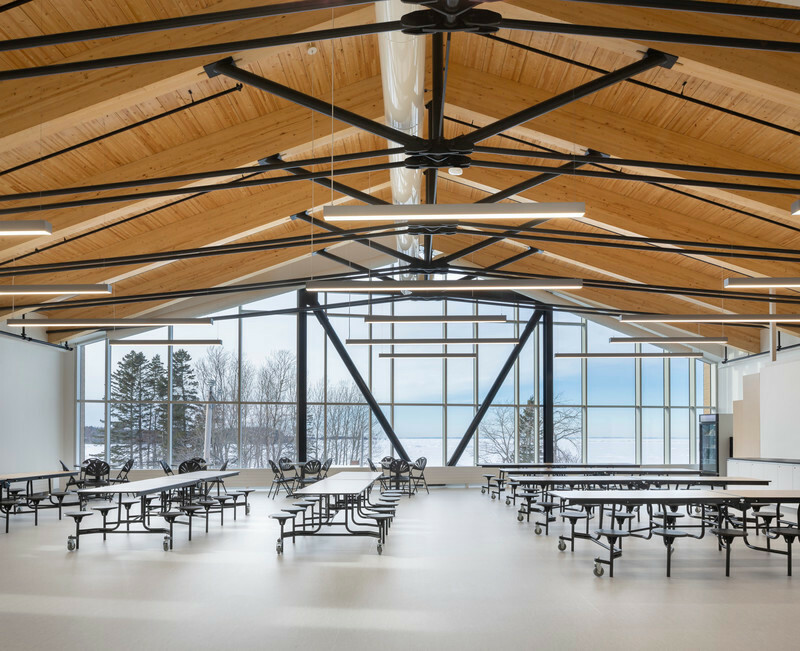 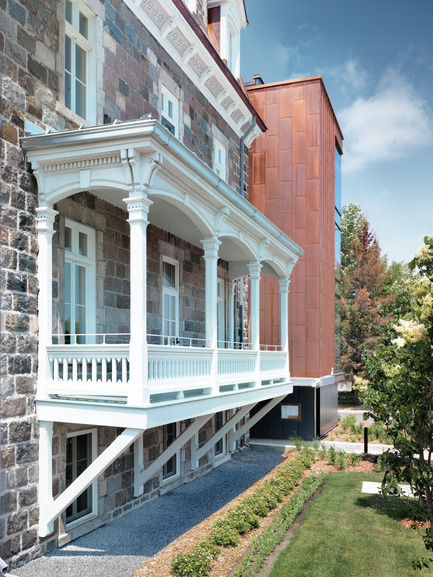 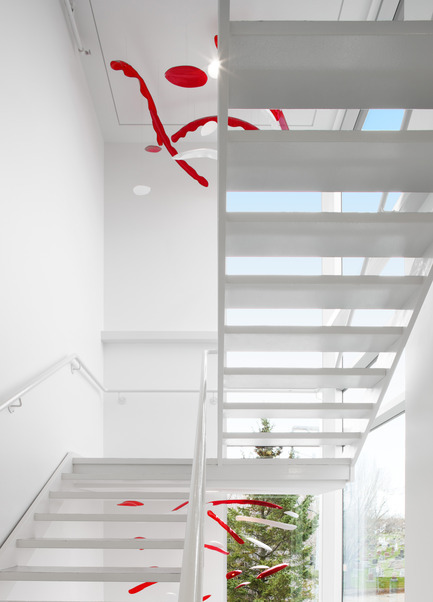 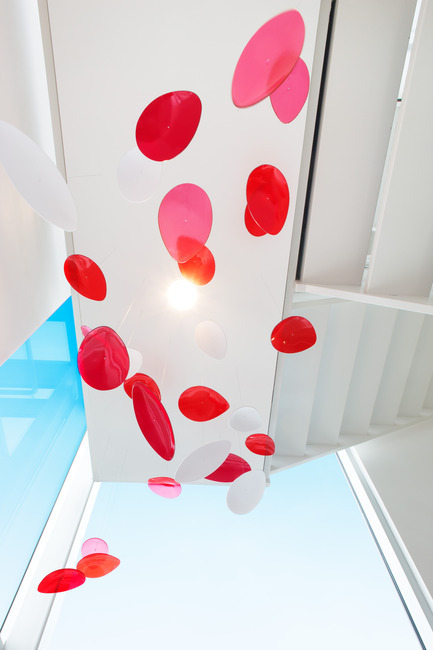 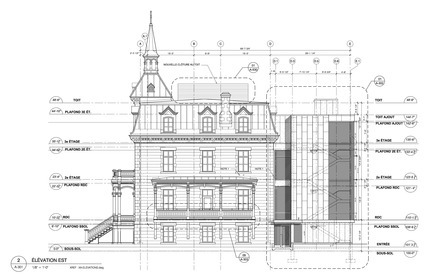 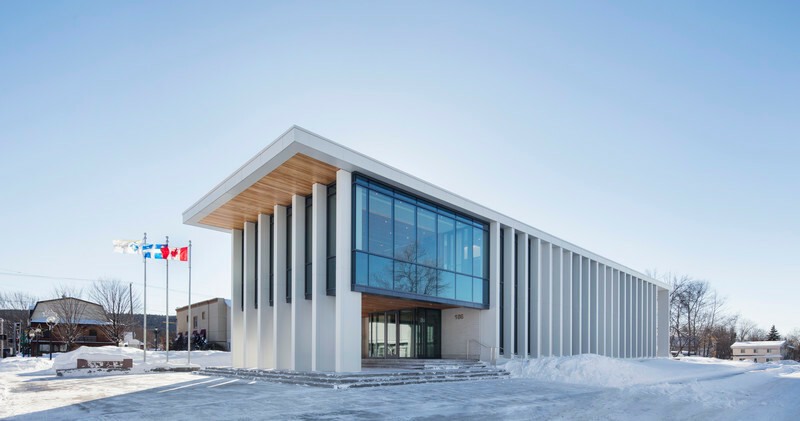 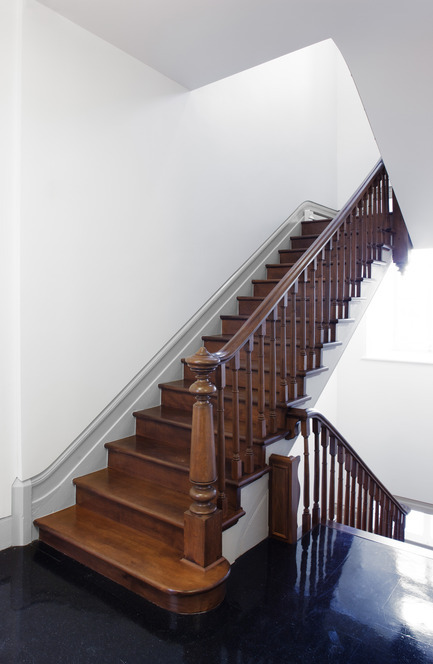 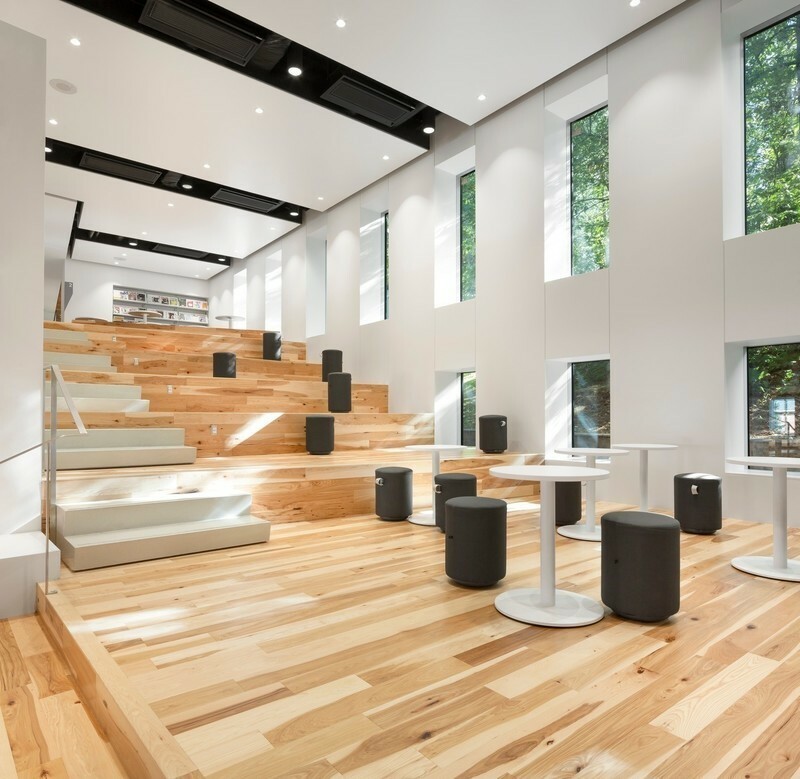 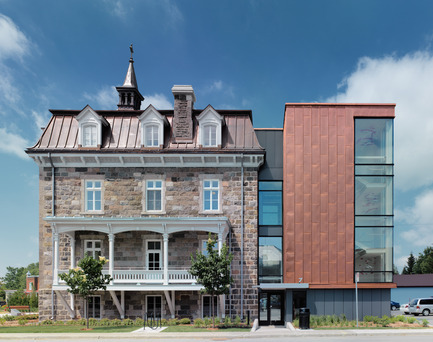 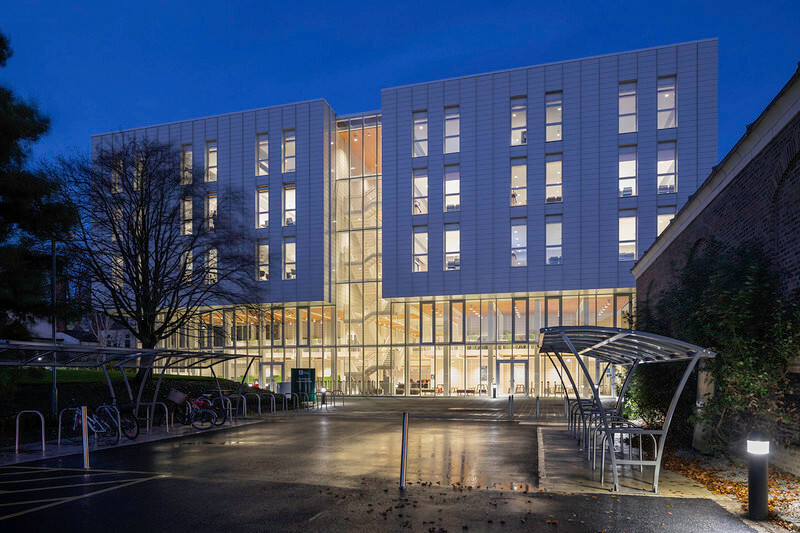 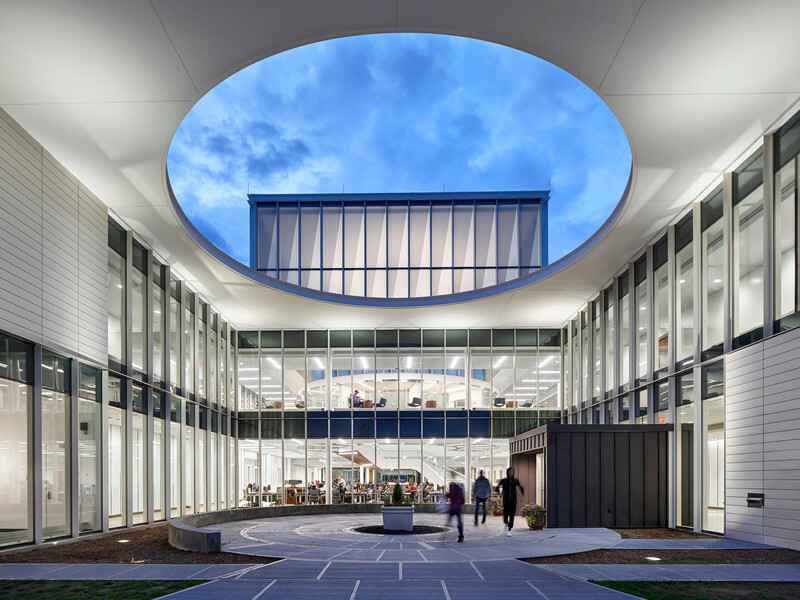 The project creates a dialogue between the restored heritage building and a contemporary addition housing a new entry lobby, an elevator and a generously glazed stair-tower. 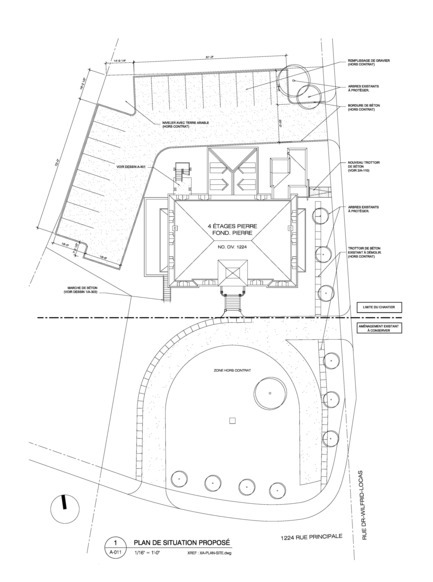 Creating a new entry on the lateral street is part of an overall site strategy that relocates parking to the back of the building and frees up the front of the site for a new formal garden. 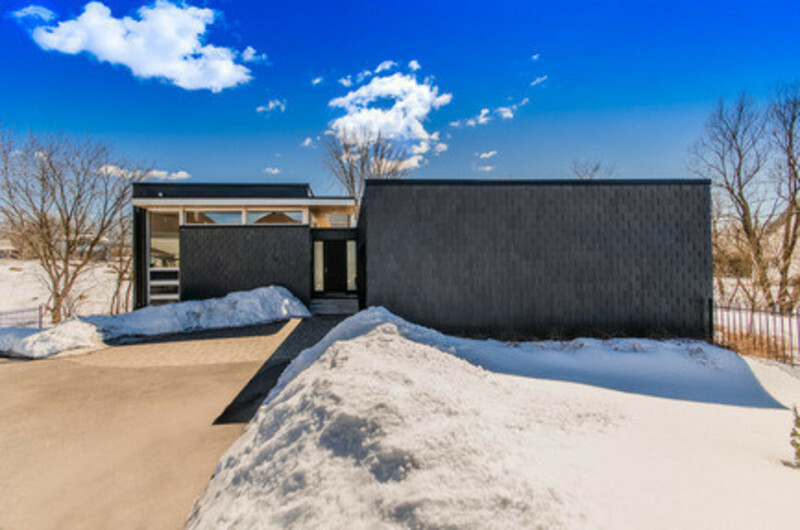 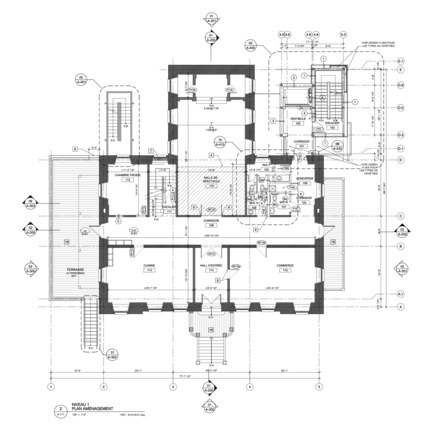 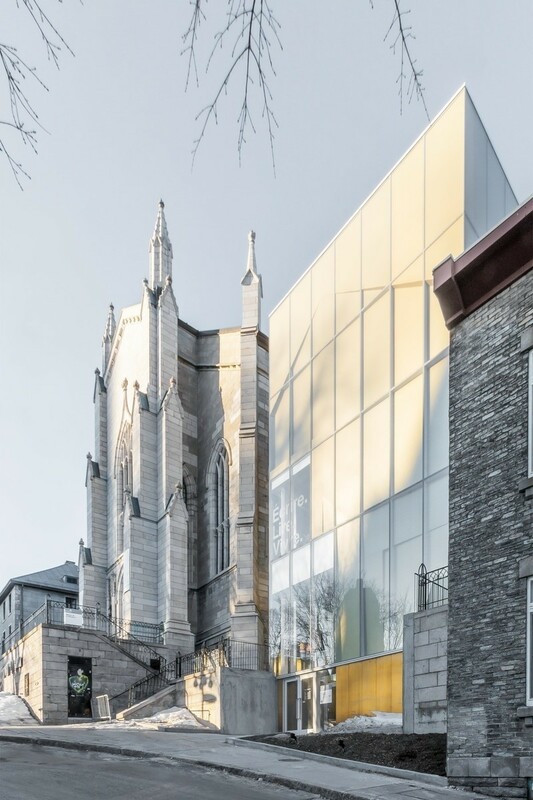 As a foil against the traditional elements of the historic structure - a mansard roof, limestone masonry, a sculpted wood gallery - the addition is conceived as a series of interlocking rectangular volumes. 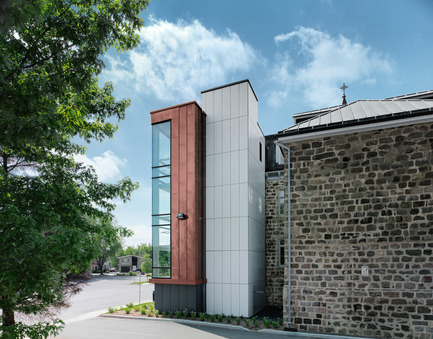 The vertical arrangement of these volumes creates an asymmetrical tower that echoes the old convent’s central bell-tower. 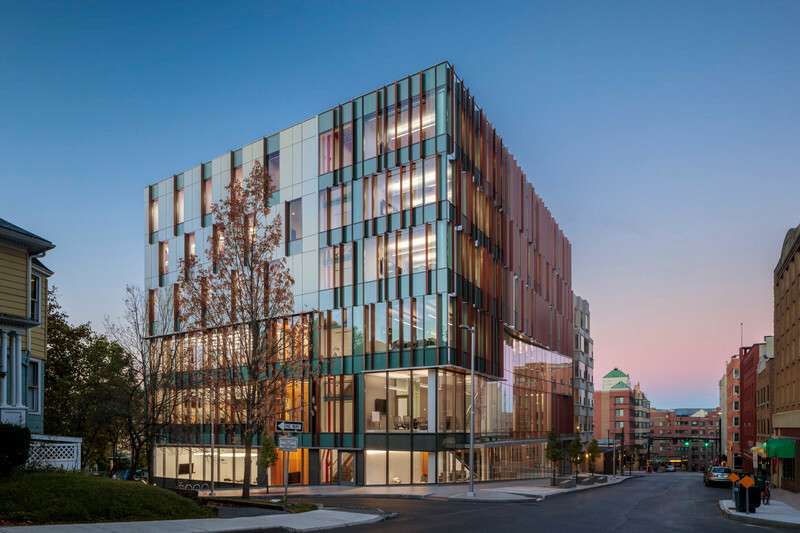 Combining artisanal materials – copper and slate – with contemporary materials such as plate glass, aluminum and sheet steel, the addition provides a spacious, naturally lit lobby and up-to-date vertical circulation. 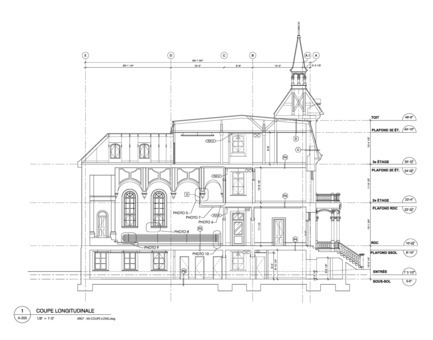 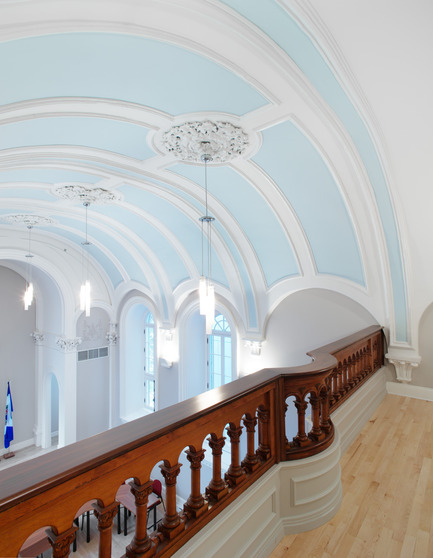 The new city hall respects the interior organisation of the original convent, centered on an entry hall and a two storey chapel. 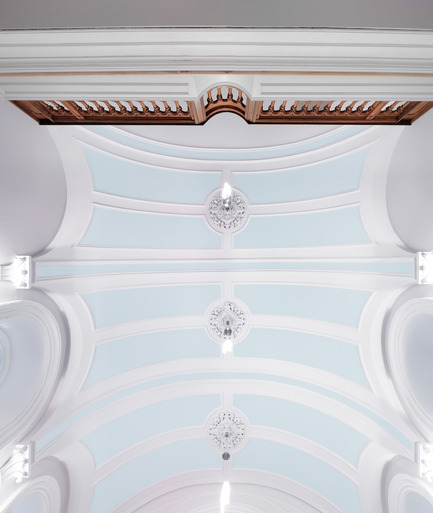 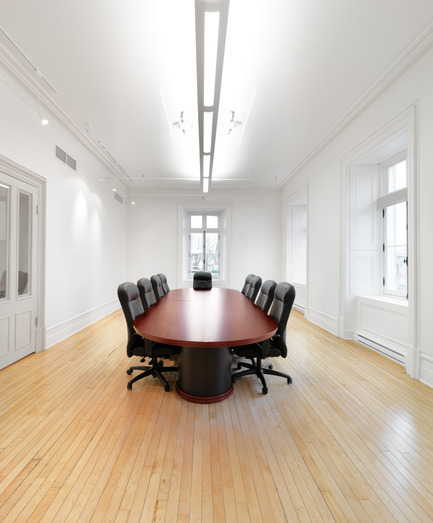 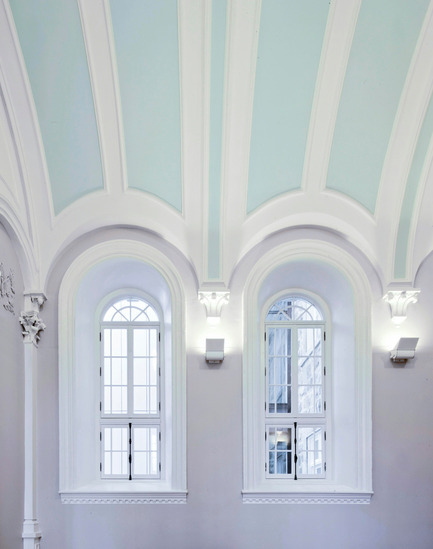 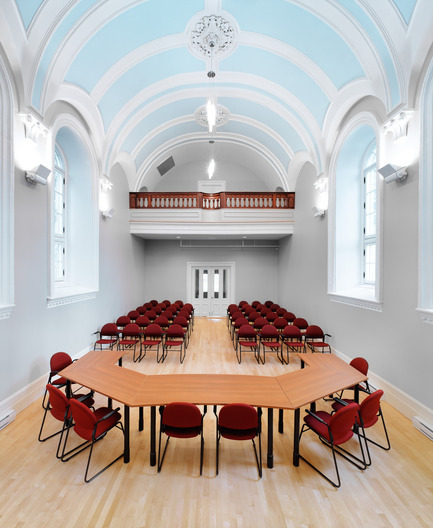 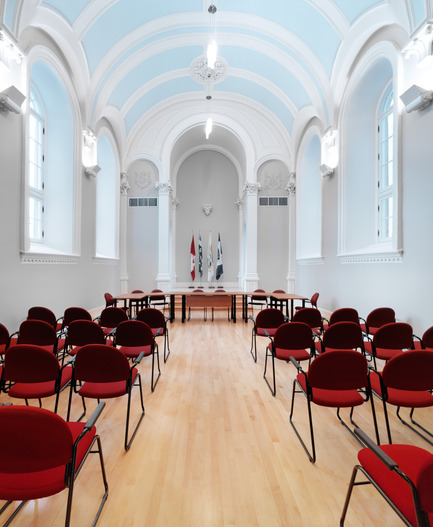 An ornate plaster vault, decorative columns and stained-glass windows in the chapel have been restored and the space has been repurposed as the municipal council chambers.